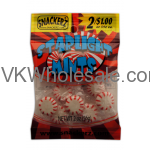 Buy 2 for $1 candy wholesale - we carry different kinds of hard candy, soft candy and gummy candy. One of the bestseller at convenience stores, gas stations and liquor stores. Order 2 for $1 candy in bulk now. 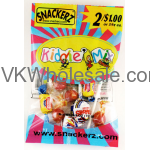 Minimum quantity for "Kiddie Mix 1.75oz 2 for $1 Candy - Snackerz" is 12. Minimum quantity for "Melon Rings 1.75oz 2 for $1 Candy - Snackerz" is 12. 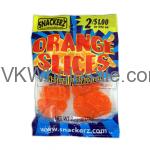 Minimum quantity for "Orange Slices 1.75oz 2 for $1 Candy - Snackerz" is 12. 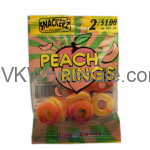 Minimum quantity for "Peach Rings 1.75oz 2 for $1 Candy - Snackerz" is 12. Minimum quantity for "Peppermint Puffs 1.75oz 2 for $1 Candy - Snackerz" is 12. 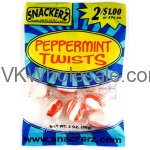 Minimum quantity for "Peppermint Twists 1.75oz 2 for $1 Candy - Snackerz" is 12. 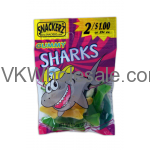 Minimum quantity for "Sharks Gummy 1.75oz 2 for $1 Candy - Snackerz" is 12. 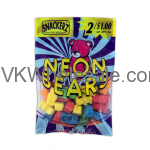 Minimum quantity for "Sour Neon Bears 1.75oz 2 for $1 Candy - Snackerz" is 12. 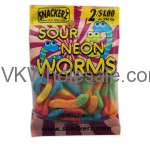 Minimum quantity for "Sour Neon Worms 1.75oz 2 for $1 Candy - Snackerz" is 12. 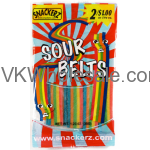 Minimum quantity for "Sour Sour Belts 1.75oz 2 for $1 Candy - Snackerz" is 12. Minimum quantity for "Sour Spearmints (Green) 1.75oz 2 for $1 Candy - Snackerz" is 12. 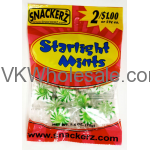 Minimum quantity for "Sour Starlight Mints 1.75oz 2 for $1 Candy - Snackerz" is 12.